NTEU makes it easy for members to stay on top of federal employee news and take action on key workplace issues. Our member-only communications provide you with up-to-date news and information from Capitol Hill and the courts to the bargaining table and your workplace. NTEU Bulletin The union’s flagship publication, mailed ten times a year to members, features analysis and in-depth coverage of the issues affecting you and NTEU’s efforts to improve your workplace. Member Benefits Guide NTEU membership has benefits even beyond your workplace. Learn how your membership card can get you exclusive money-saving discounts on everything from travel and insurance to phone service and shopping clubs. Status Call Get a round-up of some of the key legal battles NTEU is waging on behalf of federal employees. NTEU e-Bulletin Our weekly e-newsletter keeps members up-to-date on the latest federal employee news and inspires you to take action. NTEU Political Insider This periodic newsletter offers NTEU members an inside look at what’s happening in Congress that affects federal employees how to make your voice heard. NTEU CBP Update From staffing and funding levels to NTEU arbitration victories, this e-newsletter focuses on the issues that impact CBP employees. Complete this form and bring it to your chapter for processing. Monthly membership dues are a percentage of your salary. 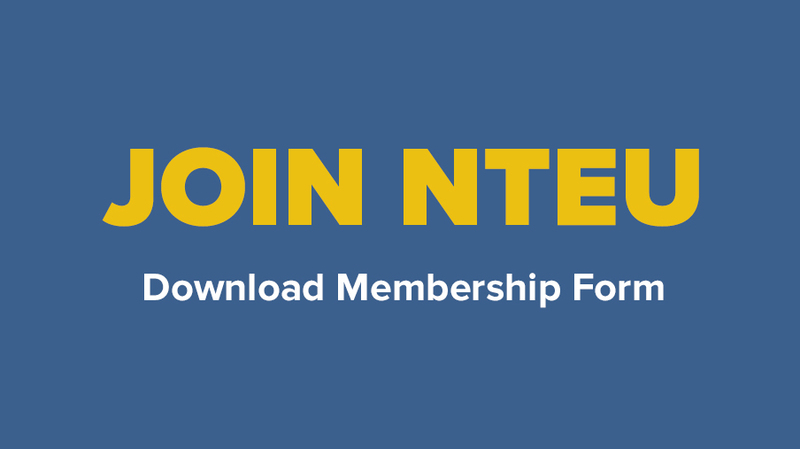 In a few weeks, you will receive an NTEU membership card in the mail. Real talk about real issues. Check out our blog, where we go inside the pages of new agreements, legislation, executive orders and agency directives, and explain why they matter to you.